For Such As These: Gotta love this church! 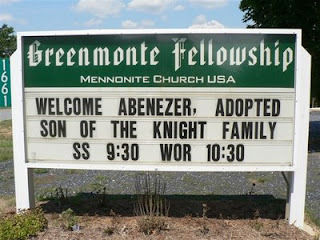 We had our first church day with Abenezer on Sunday. He seemed to do well...looked around alot, shook hands with people, high fived and hugged a select few. Rachel went home with a friend and he didn't understand that. He started yelling Rachel when we pulled off and was looking all over for her. I tried to explain that she would be home later but he kept looking for her. When we ate lunch, he counted us at the table and said 5 and then said Rachel 6 and frowned. Communication really makes a difference! We had a major battle of the wills today (and I won! heehee) He wanted to go on the deck and play volleyball with the beachball (our deck is high up!) and I told him to play in the front yard with it and we had a no / yes rebuttal for a while. I finally sternly told him yes and that Abenezer needs to listen (while pointing to him and to my ears) He then marched out to the front porch and laid down on the swing and pretended to go to sleep. I left him alone for a little bit and then went back out and told him that I loved him and hugged him and he gave one of those big old grins. And we gotta love you, too! 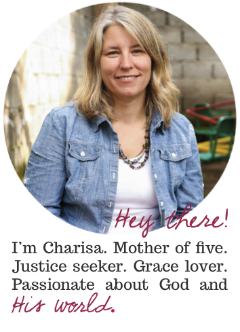 Thanks so much for taking the time to "blog" for us, so that we can live this adventure with you. I love that your church did this to welcome your new son...that is the love of God...poured out and flowing over. How wonderful that they care so much for you guys.